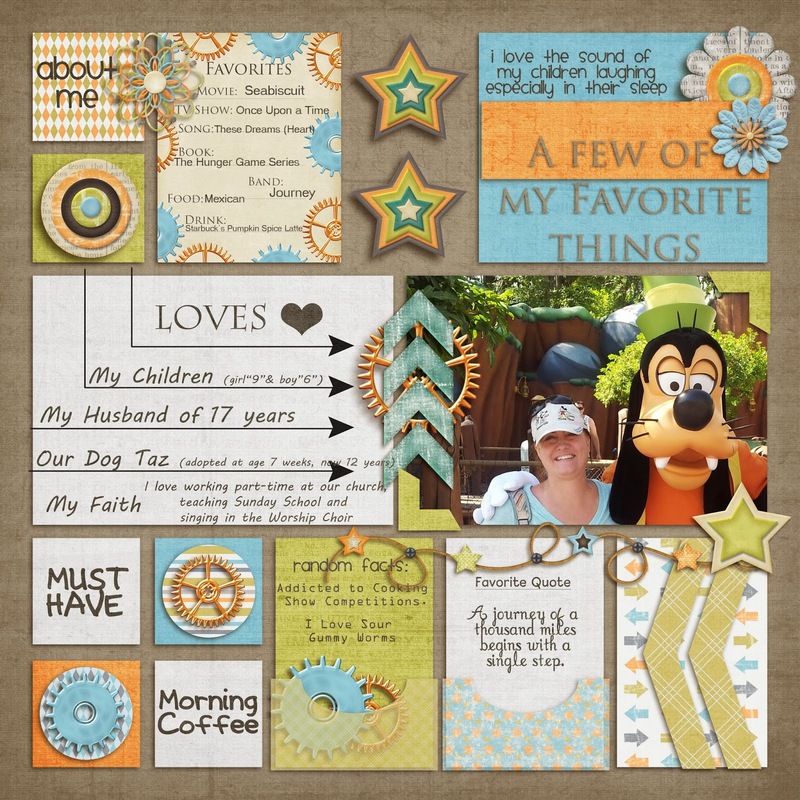 MyMemories Blog: Meet Today's Daily Designer....Two Cute Kids! Meet Today's Daily Designer....Two Cute Kids! Hi, I'm Caroline of Two Cute Kids Designs. I live in Southern Nevada with my husband of 17 years, my 8 year old daughter and 6 year old son, and our 12 year old cocker/terrier mix. I love designing, but my #1 hobby is scrapping. I love creating scrap pages and memory books for my family. I actually have a bachelor degree Accounting, but chosen the path of part-time bookkeeper, so I could be around more for my kids. I love my job of working 5 minutes from home and 3 minutes from my children's school and only working 3 days a week as the financial/ministry assistant at our church, which allows me the opportunity to volunteer a few times a month at their school. When I'm not designing, scrapping or volunteering, I love to read, taking photos, traveling wi th my family and just took up swimming to try and get into some kind of shape.